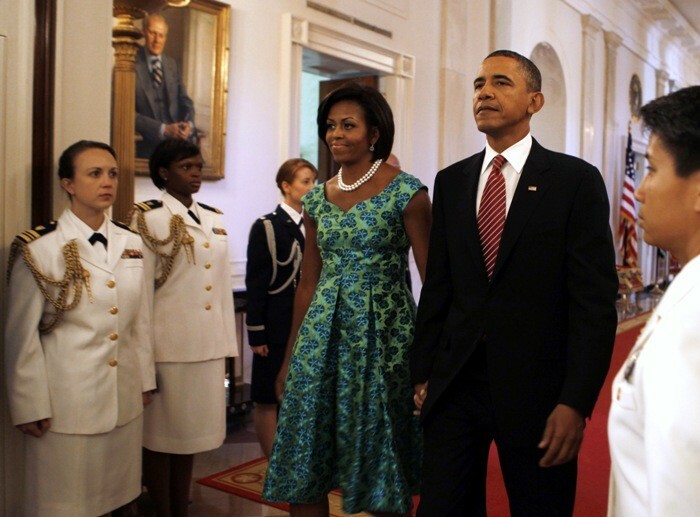 Yesterday afternoon, President Obama and First Lady Michelle Obama hit the campaign trail together! 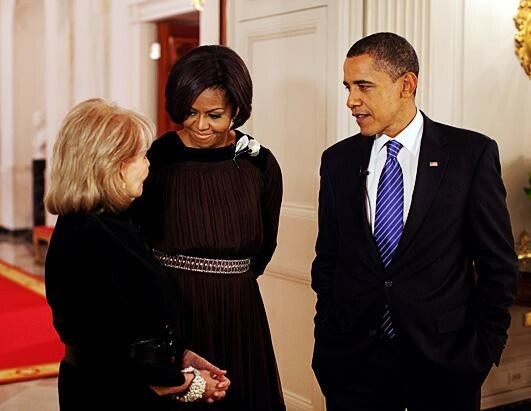 The first couple traveled to Cleveland, Ohio to speak at a Democratic fundraiser, supporting Governor Strickland. After this event, the president and first lady headed to Columbus for a Democratic National Convention rally. 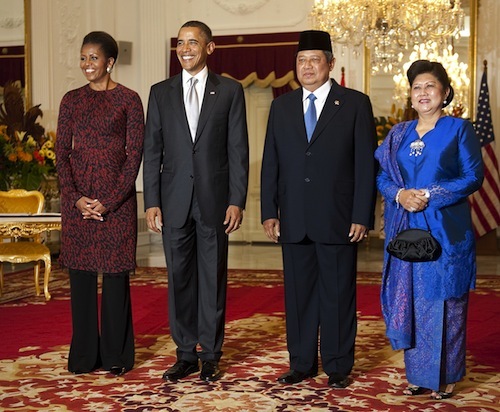 President Obama kept his usual, professional look, wearing slacks, button-down shirt and sport coat. However, he chose to go without a tie for this occasion. 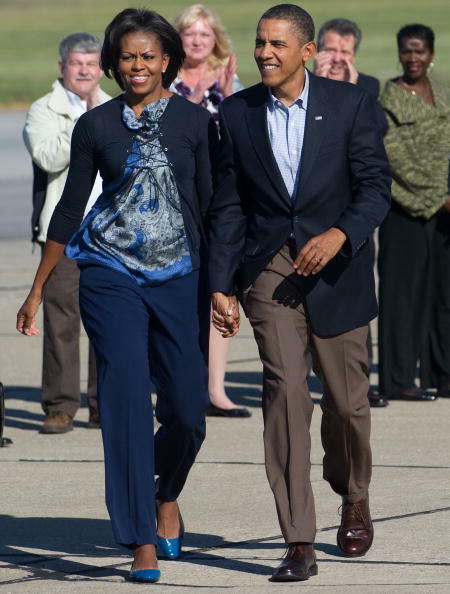 Michelle paired an inverted, lace top with blue trousers and ballet flats. What is interesting about this look? 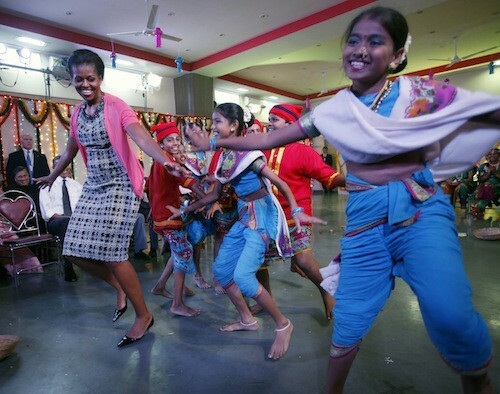 Well, we’ve actually seen this blouse on Michelle before, quite recently actually. Earlier in October, Mrs. Obama wore this top as she departed Camp David; however, last time, she wore the top the opposite direction. 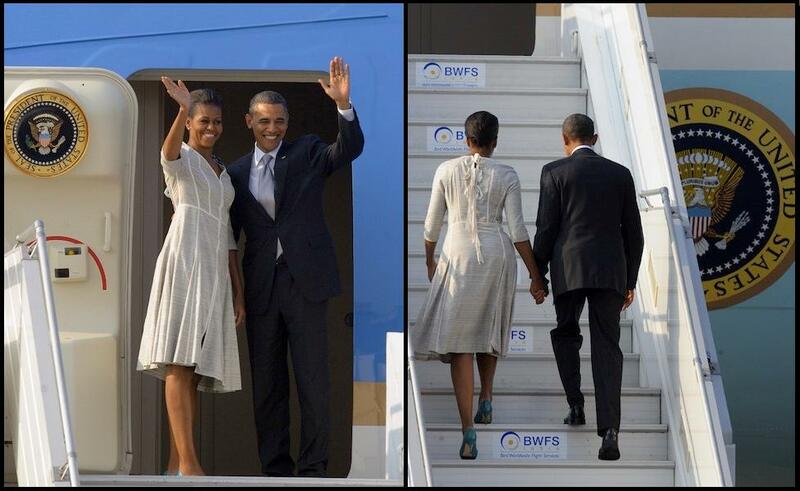 The first lady has a flip flop blouse that can be worn either way! I definitely prefer the lace in front.